The locations of Cardiff’s new nextbike stations have finally been revealed ahead of the scheme doubling in size next month. The 27 bike-share stations started to be installed across the city on 24th August, taking the city-wide docking network up from 25 to 52. New docking stations are being installed in Llandaff, Grangetown, Heath, and Ely, as well as several around Cardiff University. 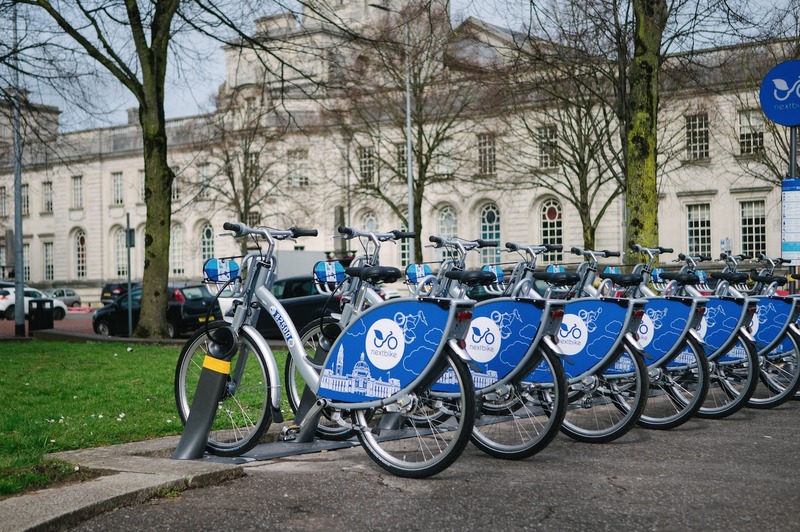 nextbike, the world’s most extensive bike-share operator, recently revealed the city’s 16,000 registered users have already cycled an impressive 140,000km since the scheme was launched in March – 42 times the distance Geraint Thomas cycled in the Tour de France. The bikes have also been used an average of five times per day and have been rented 53,000 times since they were first introduced into the city. nextbike UK MD, Julian Scriven, said he hoped people would be happy to see the extra stations being installed. “The larger the scheme grows, the more reliable it becomes as a viable alternative for people looking to change the way they commute to work and get around the city. It’s important for us to ensure that bikes are available not just across the city centre area, but in the outlying areas to ensure all members of the community are able to access and benefit from the scheme. Cllr Caro Wild, Cardiff Council’s Cabinet Member for Strategic Planning and Transport said: “It is great to hear that Cardiff has had the most successful launch in the UK.